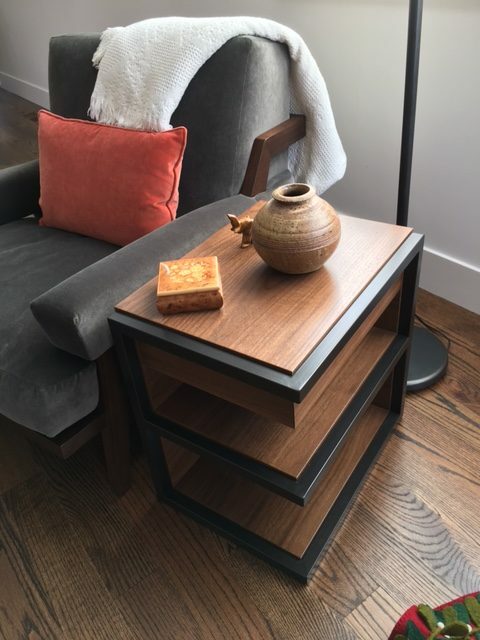 We designed and built this contemporary walnut side table. The steel work was done by another company, and we powder coated the frame finished the piece. 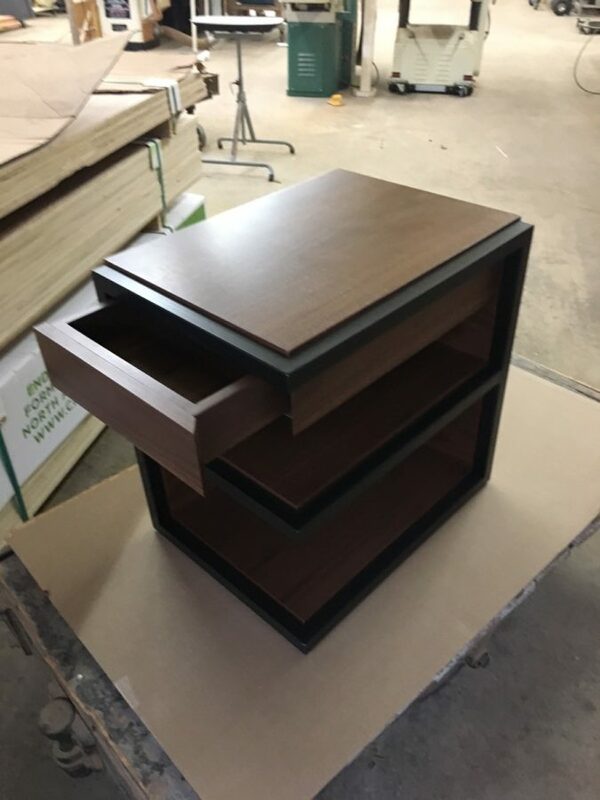 It features a hidden miter-cornered drawer. It’s a very elegant, modern piece. For this same home, we also built some lift/slide doors, which aren’t shown in the photos.